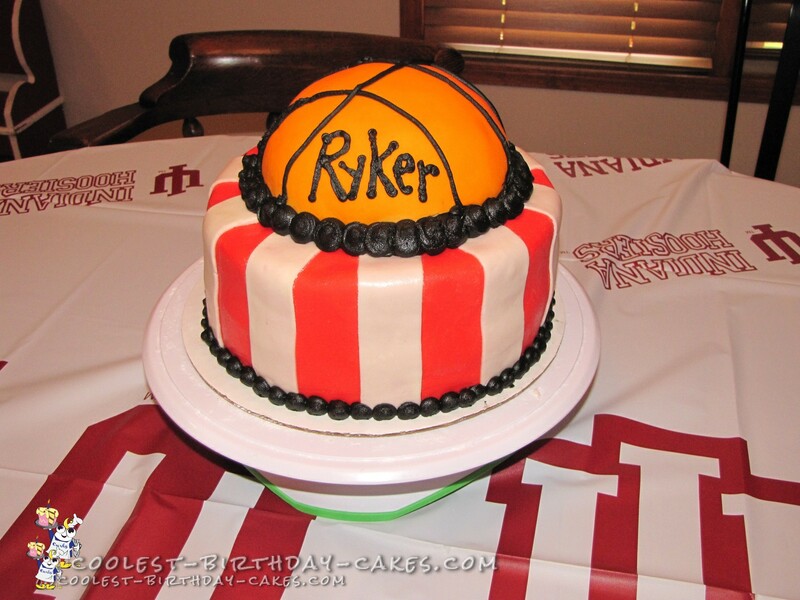 I made this Indiana Hoosiers basketball theme cake for my son’s 5th birthday. He wanted an IU (Indiana University) theme for his party. I used the Wilton ball pan to create the basketball for the top of the cake. I covered it in orange fondant and added black lines to complete the ball. I made a regular double layered round cake for the bottom tier. The bottom tier was covered in red fondant and then white stripes were added. Black embellishment was added between the tiers. Pinstripes were a big hit with the birthday boy.